Tri Star Basketball, Tri Star Soccer and Sof-T-Ball leagues offer kids the opportunity to try their sports skills in a fun atmosphere. Kids enjoy these activities and receive shirts, balls, trophies and applause from parents. Do not forget the Safety On Wheels Bike Rodeo in June and the Haunted Trail in October. 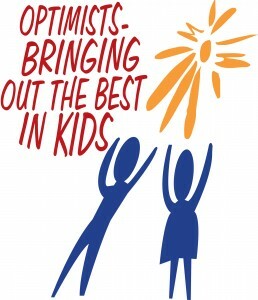 Optimists bring out the best in youth by aiding and encouraging their development. Annual youth appreciation awards, scholarships and effective educator awards keep us as friends of youth. Oratorical and essay contests along with donations to school libraries help kids grow and prosper in the community.